College seniors have a lot on their minds with final exams and making preparations for the next phase of their lives. While some may move back home, and can still count on the financial support of their parents, many will be venturing out on their own for the first time. It is heady and exhilarating, and also quite frightening. What if they make mistakes which could impact their ability to achieve their dreams? 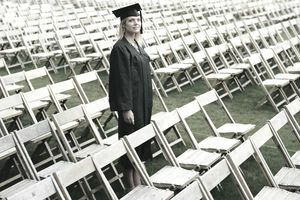 Decide now to face those student loans head-on: It might be tempting to ignore the student loan debt that has built up over the past four years, but it won’t simply go away. So you must decide now that you are going to face it head-on and take responsibility for repaying those loans. While you are still on campus, ask the financial aid office to help you pull together a listing of your current debt. Keep in mind that you might also have private student loans that need to be taken into consideration when looking at your outstanding debt balance. Decide what type of income you will need to make those payments: Try to estimate the total amount of monthly payments you will need to include in your budget in about six months. Look at the job offers you have received, and start estimating your monthly expenses. If it doesn’t look like you will be able to afford those payments you have to start learning about income-based repayment plans for student loans, cut back on your expenses, or look for higher-paying jobs. Decide what kind of spender you are going to be: You have probably lived on a pretty tight budget during these college years, and can’t wait to get out and start spending some of that money you will soon be earning. But why not take the budgeting skills you have learned and apply them to your “real” life? Your parents, grandparents or family members might want to make a financial gift to you upon graduation, and your first thought might be to spend it on a flashy new car or to take a great vacation. Instead, plan a celebration that is a little more subdued, and put the money away until you get a better handle on what your living situation is really going to be like. Decide that debt is not your friend: You might be a little envious of people who look like they lead great lives on the surface, but look behind the curtain and you might find a credit disaster. They have a mortgage and home equity debt on their house, lease their cars, carry high credit card debt, and owe huge amounts on their student loans. This kind of financial pressure can lead to stress, marital discord, and disaster if they are confronted by some type of financial emergency. Resolve that you will be a smart money manager, and will only take on debt that you have a reasonable chance of repaying. Decide that you will be a good steward of your own future: Too many people simply wait and “let” the future happen to them, without any planning or foresight. Although some of these suggestions might sound a bit harsh, you might be surprised at how easily they can become habits in your life. Think about the goals you want to achieve, lay out a plan to accomplish those goals, and then live your plan. If you are fortunate to find a life partner, make sure it is somebody who is compatible with your financial ideals.